During the last week of March, I attended the National Drug and Alcohol Screening Association’s (NDASA) first annual conference in San Antonio, TX. NDASA formed last April after a group of drug testing industry professionals decided that the industry needed a “seat at the table” when federal and state laws are being passed that affects drug testing. There are a few other drug testing associations, which are great for networking and sharing information, but those associations are not able to take action to influence change because of their bylaws. NDASA is different. This association wants to be involved in the shaping of laws regarding drug testing. At this conference, there were 3 things accomplished that I believe positions NDASA to make a difference in the political landscape and protect employers’ rights. 1. A State Affiliate Caucus Was Formed. NDASA has asked for a company, organization, or individual from each state to be a designated representative responsible for advising NDASA on any issues relating to their specific state and representing NDASA as needed in the state in which they are designated as the State Affiliate. CleanFleet has applied to be the State Affiliate of Oregon. As such, I will be recruiting NDASA’s help to defeat legislation such as Senate Bill 379, which prohibits employers from taking action against employees who use marijuana. CleanFleet’s overall goal as a state affiliate is to protect employers’ rights to a drug-free workplace. 2. The Government Affairs Committee Took a Position on Marijuana Legislation. NDASA will staunchly oppose any legislation that adversely affects employers’ rights to a drug-free workplace. Without a drug-free workplace, employers cannot provide safe or productive environments for employees. Furthermore, employers will incur higher workers’ compensation and healthcare costs by allowing drug use by employees. By adopting this position, the committee hopes to avoid debates on whether marijuana should be legal and focus on protecting employers’ rights. The committee believes this strategy will give NDASA a “seat at the table” when drafting future legislation. 3. A Political Action Committee (PAC) Was Organized. NDASA wants to ensure its voice is heard by politicians. The most effective way to be heard is to make financial contributions to political campaigns. NDASA’s PAC will raise money from its members and donate to incumbents and candidates that align with the association’s position regarding employers’ rights to drug-free workplaces. The PAC will be making regular trips to Washington, DC to meet with federal law makers to discuss the myriad of issues surrounding drug use. In addition, the PAC will work closely with the State Affiliate Caucus to identify state politicians in which it can align itself with. As the CEO of CleanFleet, I believe it’s important to not just be involved in the drug testing industry, but to protect our clients’ interests and rights. NDASA provides a platform to accomplish this. I truly believe NDASA will provide a voice for the drug testing industry and employers. 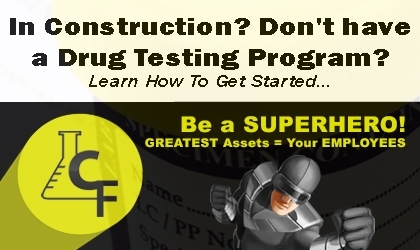 If your company has a drug testing program, make sure you are aligned with organizations such as CleanFleet and NDASA to protect your company’s rights for safe workplaces, lower healthcare costs, and a higher return on investment from employees. There are 0 comment. on "Fighting for Employers’ Rights to Have Safe Workplaces, Lower Healthcare Costs, and a Higher Return on Investment from Employees"